Presentation of the book "Pianoforti Anelli: 50 anni di storia cremonese"
The exhibition “Anelli”, in Cremona Musica 2018, will pay homage to the great piano company, that had been active in Cremona between 1918 and 1968, for 50 years. It is a merited homage to the company where important professionals such as Attilio Tamagni, Luigi Nazzari, Luciano Del Rio and many other tuners and repairers had the opportunity to train. The company was the natural continuation of the artisan family business that, starting form Antonio Anelli (1795-1883) had an important musical impact on Lombardy and Emilia. The experience earned working on organs, harpsichords, spinets and, finally, on pianos, was passed from generation to generation, before reaching Pietro Anelli (1863-1939), who, after making his own experience as organ maker and piano tuner, founded the company “Società Anonima Anelli” in 1918, to demonstrate that it was possible to make high-quality keyboard instruments in Italy as well, as good and reliable as those made by the best foreign companies. 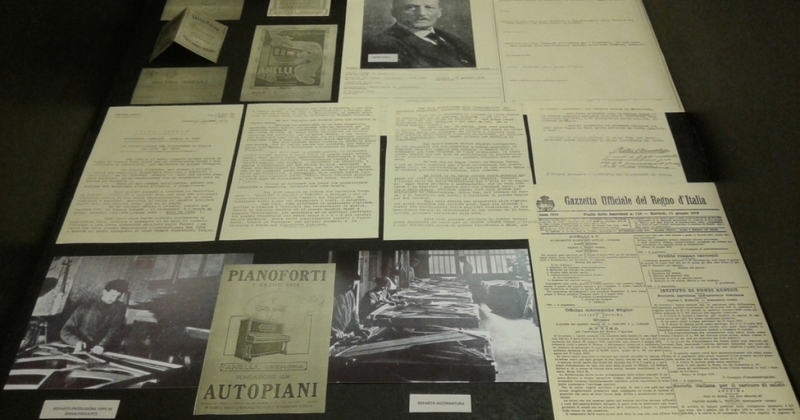 Together with the exhibition, the book “Anelli 1918-1968” will be presented: it collects documents and pictures about the historic Cremonese brand of pianos.